Home / Beauty of a Site Blog / TIGI Releases a One of a Kind Product for Blondes! TIGI Releases a One of a Kind Product for Blondes! TIGI has done it again, they have heard you and made a product that will keep your beautiful blonde hair looking great! Its a Hair Miracle! "I love this new spray! 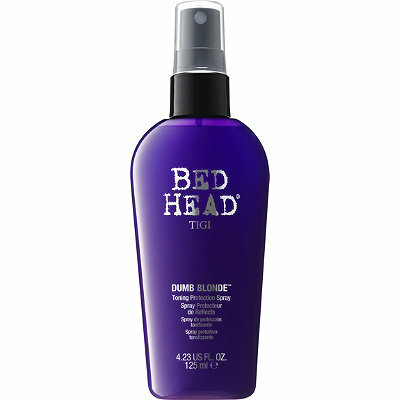 Bed head® has addressed so many of the challenges associated with treated blonde hair, like weak internal bonds and increased tangling, combined with violet toners which help counter any unwanted brassiness.”-Christel lundqvist, global technical director, tigi® Click here to shop TIGI Dumb Blonde Toning Protection Spray Only $18 *Will be in Stock 3/20/2014 BENEFIT: Protects hair during heat styling. Protects hair from breakage by improving detangling. Protects hair from split ends. Protects against frustration caused by blonde hair going brassy. PROBLEM: regular heat styling from blow drying and irons damage the cuticle and make hair weaker and more prone to breakage. SOLUTION: dumb Blonde™ toning Protection spray protects vulnerable hair from further damage through heat styling and strength HOW TO USE: use on damp hair daily, weekly and anywhere in between to protect blonde hair. shake well before use. Your Skin Care Problems.. Alchimie Forever Solutions! Alchimie Forever... What's in a Name?